io9: Your one stop shopping for all geeky hair news needs! From Jon Snow to, well, Jon Snow, we’ve got it all. The latest major hairdo change comes to us from Australia, where Chris Hemsworth is filming Thor: Ragnarok. Thor is best known for having flowing locks but, a new behind-the-scenes photo reveals he’ll be sporting something much shorter in the upcoming movie. Either way, for most people, this is the first proof that those short hair claims (which actually first arose in May from a JoBlo report) are true. 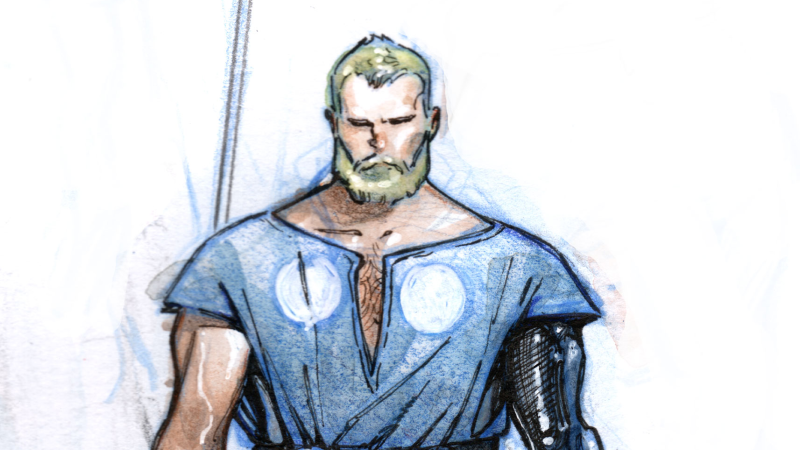 It is time to goodbye to the God of Thunder’s long, blond locks. And that has been your io9 Hair Report. Thor: Ragnarok is now filming for a November 3, 2017 release. *Correction: This article previous had the old release date of July. It’s been fixed.